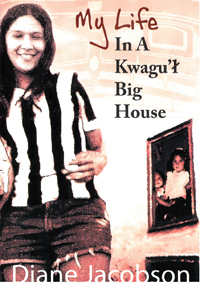 Honey Jacobson considered herself lucky to live in the last semi-traditional big house of the Kwagu'l people: a four-storey house filled with a loving extended family of cousins, uncles, aunts and the patriarch and matriarch of the household, Grandpa Moses and Granny Axu. While new smaller houses were spreading throughout her community, Honey really knew only her relatives inside that Big House. In the 1960s, Western culture captured the fancy of Honey's community and family, and its spell inevitably changed a Kwagu'l family. This is Honey's story.